I'm a huge fan of heat embossing. Big surprise, I know., but I just love the way you can stamp something, and magically add a metallic sheen to it. Usually, you see embossing used for a sentiment, or a line image. For today's card, I chose to emboss the striped background of the card to add to the golden sheen from my sticker sentiment. 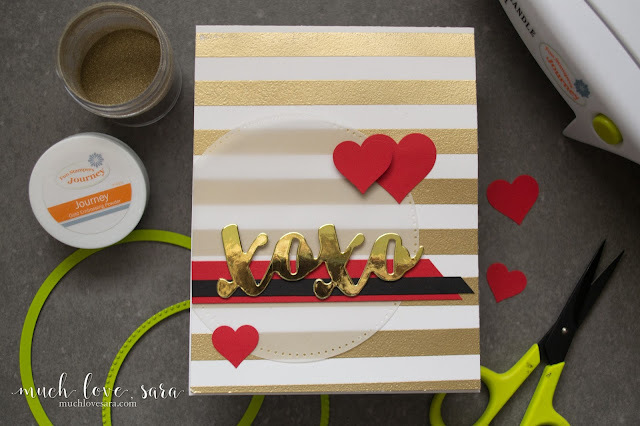 One of the great things with the striped wall stamp, is that is pretty easy to line up to stamp twice and cover the whole background with horizontal stripe. Just line the stamp up straight on your gridded block, and stamp near the top of your card front. 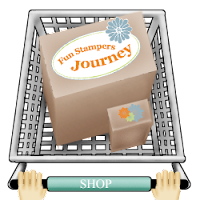 Than use the side edge of the stamp to line up the top stripe with the bottom stripe that you stamped the first time. 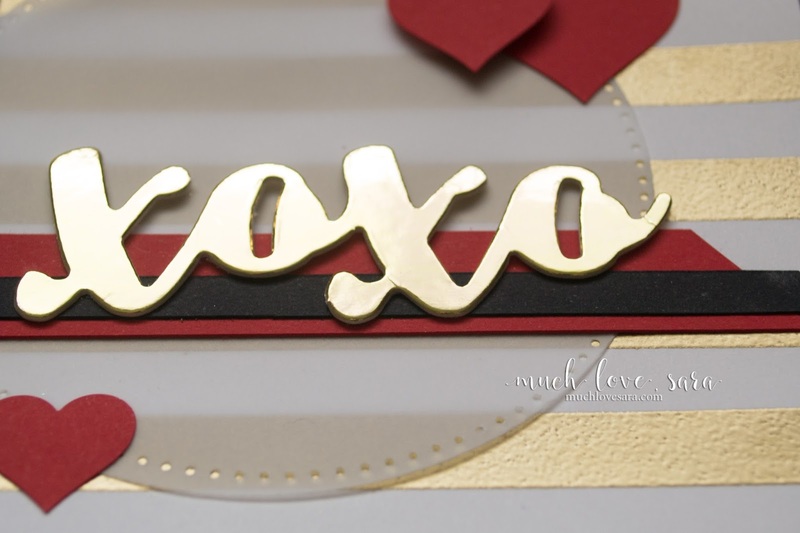 A vellum circle, a few banner strips, and some punched hearts decorated the card. 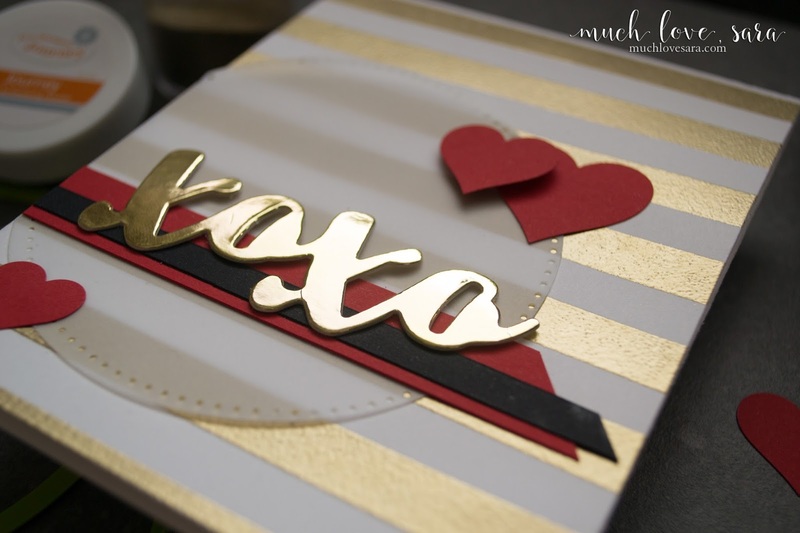 Don't you absolutely love the Lovely Words Card Stock Stickers They are GORGEOUS in person! I'm definitely going to be stocking up.